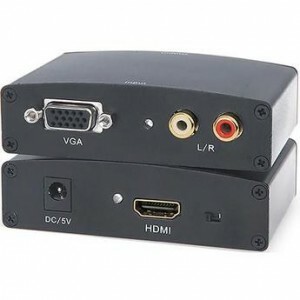 Converts analog PC-based A/V signals into HDMI. 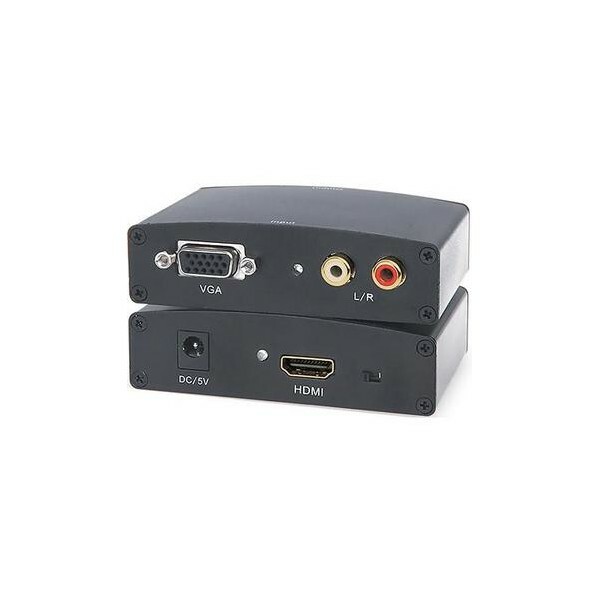 The MANHATTAN® VGA to HDMI Converter translates analog PC audio/video signals andtransmits digital output to HDMI projectors, flat-panel displays, televisions and other similardevices. Built-in circuitry allows digital media enthusiasts to easily distribute and enjoy PC-basedmulti-media content on high-definition displays and TVs while maintaining simultaneous A/Vreception at the source PC. Its high bandwidth capability supports up to 1280 x 1024 and1080p to serve a wide range of resolutions in many PC and high-definition applications,including training, retail and tradeshow settings. 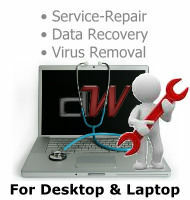 With quick Plug and Play installation andWindows and Mac compatibility, the MANHATTAN VGA to HDMI Converter requires nosoftware or complicated configuration to convert and deliver digital content stored ondesktop and notebook computers.